When people talk about SEO, the first thing that comes to their mind is Google. However, there are several other sites having their own search engines. Amazon is one of the largest search engines for online shopping and its even bigger than Google in this category with over 200 million produscts. Hundreds of sellers are starting their online business on Amazon every year and sell their products and books. People who search on Amazon for a product are actually looking to buy it, and this makes Amazon more attractive than Google. It also makes Amazon SEO important for the sellers. Lets have a closer look at Amazon SEO, Listing Optimizer tool and how to optimize Amazon listing. To ensure that Amazon ranking algorithm gives priority to our listing, ranking it higher on the search results. Optimizing listing in a way that also resonates with visitors – and serves to convert them into customers for the seller. If a seller has his product ranked on top position for a major keyword, makes huge sales not just clicks as in case of Google. But, it’s not easy to achieve the top rank mainly due to the complex Amazon product ranking algorithm and partly due to Amazon buy box algorithm. It checks several stats including the sales performance, click through rate, listing contents and other factors to improve the rank. You may find several Amazon SEO services on the web claiming top ranks in no time and high sales of your product. We at AMZ Insight after years of Amazon sales and research experience have developed a great tool to help you improve Amazon products SEO. Its called Amazon Listing Optimizer that will help you to optimize your listings. This is a comparison tool that let you compare your listing with the preset listing score and tells you whether or not your listing is optimized as compared to recommended standard. It helps new sellers in Amazon listing optimization by making it simpler to understand the quality of the listing. You can compare different aspects of your listing such as title, description, bullet points, images, number of reviews, keywords, etc. All areas of the listing are analyzed on the basis of preset standards and compared it to the recommended scores. With this tool you will know how well your listing is optimized as compared to the recommended standards. You may need to place your keywords in title, bullet points or description area in order to fully optimize all the areas. It will also check Amazon reviews, rating and listing images then compare to the recommended score to let you know which areas you need to focus on. This will also check if your added keywords are available in the different parts of your listings or not. Once you know how well your listings are optimized, your next step is to start improving the areas where you have less than the recommended score. You may need to do the keywords research which is very easy to do with our Amazon keywords idea tool. You can quickly generate suggestions of recent and high Amazon search volume keywords on Amazon that are relevant to your listings. After generating profitable keywords carefully place in the title, bullets and backend search terms field. This exercise will boost your ranking on the top Amazon keywords. How to Optimize Amazon Listing? Find yourself falling down Amazon’s bestseller ranks? There are a number of things you can do to amp up your Amazon SEO and make sure your customers continue to notice you. 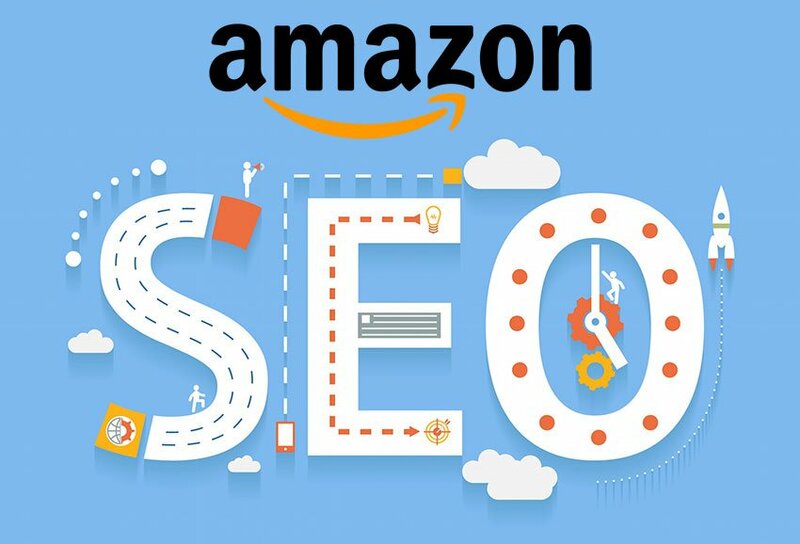 These 6 SEO tips and tricks are tailor-made to enhance your Amazon listing optimization and make your listing more discoverable on Amazon. So, if your rank is too low, apply these quick changes and see yourself rising up once again. Since Google considers title matches to be more important, rookie sellers may assume that happens with Amazon, too. Your keyword field holds as much importance as your title. Your page is just as likely to be discovered if you use important keywords in your keyword field instead of your title. Although not against the rules, it is ill-advised to repeat a keyword you’ve used in the title, in the keyword field again. So if you’ve done that, delete the repetition and make room for more keywords. Suggest new keywords for your product. Suggest new niches based on a keyword. Check the popularity of a keyword for you. Compare how well your product is doing on a keyword, compared to competitors. Perform keyword analytics, trends, popularity and the like. Do not separately mention the price because Amazon already does that in the search results. Typing the title in blocks may catch the customers’ eye but appears desperate and ultimately, unprofessional. Mentioning the quantity is also unnecessary because Amazon does that, too. Avoid a grammatical overdose; like too many commas, full stops, question marks and the like. Only include information you think customers would like to see but don’t, in the search results. Explain about your product in detail in the description. Combine features with benefits to keep the content engaging. Incorporate keywords throughout to up your SEO game. Include images if you can. The better your description, the more professional you’ll seem and the more your chances of getting up the BSRs and making a sale. Amazon strictly prohibits using competitors’ names in your product listing. It’s morally unethical and may get you suspended solely on those grounds. It’s an unnecessary waste of writing space which could otherwise have been used to include more keywords. While you may be selling in a competitive niche, there are always going to be some words that customers are using but you’ve missed. When these words are used, yours will be among the few products that show up. For this, you need to really study the demographics of your customers and the different languages they may use. *Bonus: In order to improve your product rankings in Google search results and boost external traffic, partner with bloggers of your niche. Ask them to write product reviews and that will boost your sales and also improve your Amazon keyword ranking. This is pretty much it, and I believe now you know that how to optimize Amazon listing. While you’re busy in Amazon listing optimization, don’t forget to work on technical aspects to improve overall Amazon SEO. You need to track Amazon pricing in order to design a better Amazon pricing strategy and to be able to offer free shipping. This will improve your chances to boost the rankings and winning the buy box to make much deserved sales. You can take a 10-Days free trial to test it out for yourself.